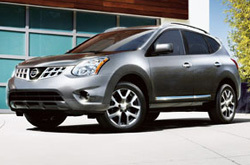 2013 Nissan Rogue research and review from Reliable Nissan, The trusted resource. The Nissan Rogue reviews are composed by experienced vehicle authors. It is just one of many resources we provide as the dominant Nissan dealer in Albuquerque. Nissan Rogue information you can be sure of on to make knowledgeable decisions is right here - each paragraph is filled with [helpful material and specs - all at your fingertips. Is the 2013 Rogue right for your family? Continue reading and find out! Check out the 2013 Nissan Rogue against versus similar autos like the 2013 Honda CRV, Mazda CX-5, Hyundai Tucson and the Toyota RAV4, and you will spot that the 2013 Rogue transcends those vehicles in gobs areas. Catch a glimpse of the reasons see why! Don't roam to a national car repair shop in Albuquerque when Reliable Nissan's exceptional Rogue experts are only a short drive away from your household. We also supply a free warranty on our work - more than most national shops do. 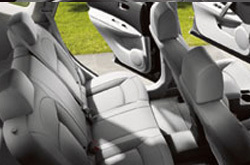 Reliable Nissan's certified mechanics will keep your Rogue in excellent condition. We will administer a task as simplistic as an oil change, or complete challenging auto repairs and service like timing belt replacements, strut and shock repairs and Nissan transmission rebuilds. Reliable Nissan is your safe bet in Albuquerque for quality, professional Nissan repairs and routine maintenance. Get started on your next appointment by selecting a money-saving service coupon.